Advantages of Gatorade Powder: long shelf life costs less easy to carry, light-weight can be compressed in airplane luggage can be stored at high temperatures Help maintain peak performance! 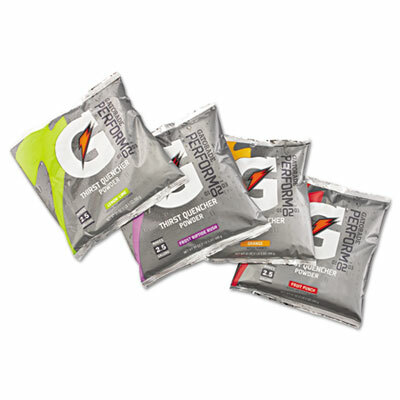 Gatorade is rapidly absorbed into the blood stream to help prevent dehydration, hyperthermia and muscle exhaustion during prolonged physical exertion. This item cannot be shipped to APO/FPO addresses.